Floyd Mayweather might be headed to jail this Friday for an 87 day sentence, but he’s already planning for the future; November, to be more exact. The plan? Another mega fight – Preferably Manny Pacquiao, and Sergio Martinez as the fall back option, with a potentially easier negotiation to go through. Whatever brought down the Pacquiao negotiations in the previous turn/turns hasn’t gone away. Mayweather is still crying ‘wolf, wolf’; I mean ‘Drugs, drugs’, but everyone knows that for both sides, it’s all about the money. 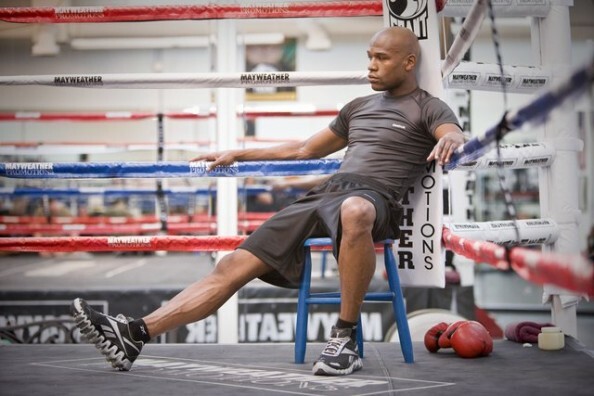 Mayweather, on his own, is probably the biggest draw in the sport. His fight with Miguel Cotto generated $94 million off of 1.5 million PPV buys, the second highest number for a non-heavyweight fight. Well, Manny Pacquiao thinks of himself in the same way. As a global superstar, obviously in the Phillipinnes, Pacquiao thinks he deserves a 50-50 split from Mayweather. His numbers from his recent fight with Juan Manuel Marquez aren’t that far off from what Mayweather and Cotto created nearly four weeks ago. The $40-30 million offer from Mayweather just felt like an insult, knowing there’s much more money to be made even if Pacquiao will be on the shorter end of the revenue stick. Not the same for Martinez. Maravilla isn’t a PPV juggernaut, but just one hell of a boxer; the undisputed king of the middleweights. It took him a long road to get there, but at 37, the burn for a big fight is strong within the Argentinian, knowing his window for a landing a big money fight is closing. Some say Mayweather took on Cotto at 154 so he can get ready for Martinez who has already agreed to go down and face Mayweather for a 80-20, still easily the biggest pay day of Martinez’ career. 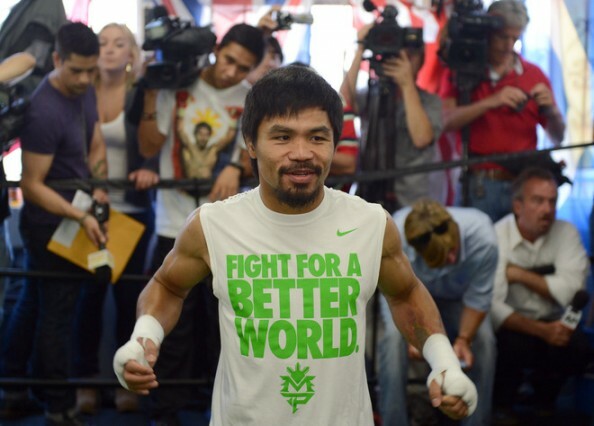 Pacquiao meanwhile is concentrated on his fight with Timothy Bradley. His conditioning coach left camp early to go work with Julio Cesar Chavez Jr., reportedly because of a spat with Freddie Roach, but Roach is determined that this will not effect Manny and his chances against the Light Welterweight champion. He has a lot of confidence and I think he knows he has something to prove because people are asking, ‘Is he all done?’ after the last fight, when we had a little bit of a poor performance. That’s gonna get him a little more motivated, and he’s going to go out there and prove to the people he’s still the best pound-for-pound fighter in the world. On Ariza – I say it like it is: I thought it was a bad choice from Ariza. I’m not going to let Manny suffer because of something between me and Ariza, that won’t happen. It’s not an issue at all. The biggest thing isn’t just winning Pacquiao’s 55th professional fight. It’s impressing, probably knocking Bradley out, to create more leverage when Top Rank (Bob Arum) and Golden Boy (Schaefer) get seated next to the negotiations table. Something everyone knows might produce another stalemate, and deny us once again from the biggest fight in the history of boxing in terms of money made. One quote from someone in the Mayweather camp tells us that Mayweather isn’t planning on backing down from his demands and financial expectations – Mayweather is not afraid of Manny, he is definitely not afraid of Sergio. What people on the outside don’t realize is that he’s as much of a business man as he is a fighter. Nobody in the sport deserves a 50-50 split with Floyd, nobody. If that’s the spirit, Martinez better start dropping weight right now. I don’t see Manny Pacquiao agreeing to this terms, maybe because of the people around him and with nothing do regarding his own desire and passion to prove he can beat Mayweather.